It has been mentioned in historical documents that hazelnut was produced 2300 years ago in the Black Sea coast on the north of Turkey and it is known that hazelnut has been exported from Turkey to other countries for the last 6 centuries. Turkey, which is one of the few countries in the world with favourable weather conditions for hazelnut production, accounts for 75% of the global production and 70-75% of the exportation. Hazelnut fields, widely spread in the Black Sea coasts of Turkey, have been located within 30 km from the coast towards inland. In the western Black Sea, it starts from Zonguldak (east of Istanbul) and extends to the east over the entire Black Sea like a green strip lying between the sea and the mountains almost until the Georgian boundary. 4.000.000 people are directly or indirectly related to hazelnut which has been produced on an area of 550-600 thousand hectares in Turkey, which is a fact that boosts the socio-economic importance of hazelnut. Turkey has a distinguished place among the other hazelnut producers in the world, thanks to its high quality, and maintains its leading position in production and exportation. Hazelnut tree, which grows in 36' 41' northern latitudes and under special climate conditions, yields product within 30 km from the coast and at an altitude of maximum 750-1000 metres. a) Standard Region (eastern part of the Black Sea Region): Ordu, Giresun, Rize, Trabzon and Artvin provinces. b) Standard Region (middle and western part of the Black Sea Region): Samsun, Sinop, Kastamonu, Bolu, Düzce, Sakarya, Zonguldak and Kocaeli provinces. Turkish hazelnut generally grows ripe between the beginning and the end of August, depending on the altitude of the field. Timely harvest is done by picking up the hazelnuts with leaves that fall to ground when the branches are shaken off. Another method of harvesting is the one where the hazelnuts are picked one by one from the branches. After being collected from the fields, hazelnuts are blended on the same day or a few days later depending on the field status and laid to make a bed of 10-15 cm thickness to be pre-dried under the sun until their leaves turn brown. After drying, hazelnuts are separated from their leaves using harvesting machine (thresher) and laid over canopies in thin layers to be dried under the sun. Total period of drying, including the pre-drying, can be maximum 15-20 days depending on the weather conditions. Drying naturally and under the sun is an important factor that gives the Turkish hazelnut its special taste. Besides being consumed as snack both in Turkey and in the world, about 90% of hazelnuts are used in roasted, blanched, chopped, sliced, mea and paste form as a side-ingredient in chocolate, biscuit, confectionary industry, in making sweets, pastries and ice-cream and in meals and salads. With a background of about five thousand years, hazelnut has great benefits for humankind through many ways such as its fruit and wood. Hazelnut shell is used as a very valuable and high calorie fuel particularly in hazelnut growing areas in our country. Furthermore, hazelnut wood is used in making baskets, walking sticks, chairs, fences and hand tools. Some types of hazelnut are grown as decorative plants in parks and gardens. Hazelnut leaves and fruit leaves are used as fertilizer. Hazelnut oil is made from the excess amount of hazelnut. 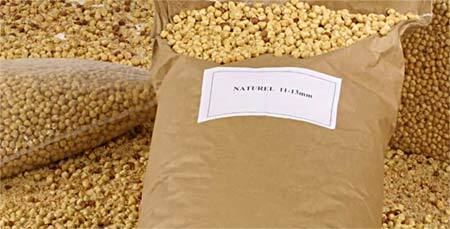 Crude hazelnut oil is refined to be used in meals and hazelnut pulp is used as additive in the animal food industry. Currently, there are 180 breaking plants with an internal capacity of 1.800.000 tons per annum and 40 processing plants with an internal capacity of 350.000 tons per annum in our country. In 1970's, 90% of our hazelnut export was in the form of hazelnuts with shell and natural hazelnut seeds but with the positive and fast developments in hazelnut processing industry, processed hazelnut exports started to account for 30% of our total exports in 2000. In parallel to the complete fulfilment of buyers' requirements with the effective and careful quality control systems in every phase of production, particularly processed hazelnut seed exports are increasing every year. The processed hazelnuts prepared in our country have higher quality than the processed hazelnuts prepared by many exporters-manufacturers in their own plants by purchasing natural hazelnuts. Please find attached the minimum analyses performed by quality assurance departments as part of HACCP in the processed hazelnut seed production by both public and private sector. Our country exports hazelnut in the following forms of packaging depending on buyers' requests. © 2012 - Fýndýk Tanýtým Grubu (FTG), All Rights Reserved.